1. Ned Yost was destined to cost the Royals a game at some point in this postseason. It was going to happen in one of three ways: (1) bunting, (2) stealing, (3) a rigid approach to his bullpen. He did so well for so long, but the bunt in the fifth inning against Bumgarner was a gift for the Giants. If you watch Bumgarner you know his biggest struggles tend to come early. How much more so given the short rest and entering the game in an unfamiliar situation. Bum still needed a good play (and great positioning) from Juan Perez to get out of the inning, but that bunt changed everything in my mind. There are many Royals fans, and baseball fans in general, who wished Gordon was sent/ran through the stop sign. I have to be honest, as that play was unfolding in seemingly the slowest of slow motions, I could see it happening: Buster Posey having to block home plate to win the World Series. Of course this crazy postseason would end that way. But, Gordon didn’t run. There are couple reasons he didn’t go home. One is that he was slow out of the box, assuming the ball would be caught or drop in for a single. He didn’t kick it into high gear until he rounded first. Also, Brandon Crawford. This is the time to sing the praise of Brandon Crawford. I know he made more than an acceptable amount of errors this year, but how is he NOT a gold glove finalist? He made three fantastic plays in this game that saved the game. 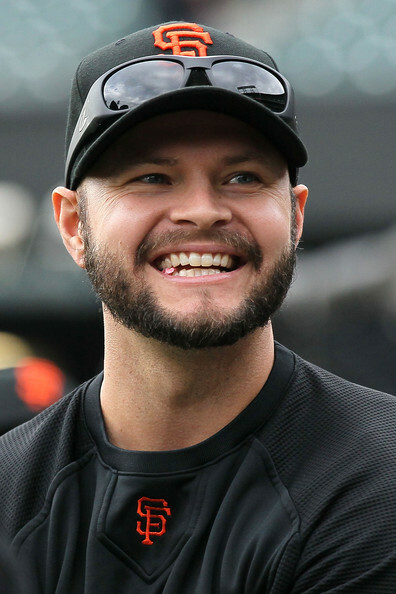 First, in the second inning he made a ridiculously smooth play on an Aoki chopper right after Affeldt came in to get a force at second. That play is really, really hard to make, and he made it look easy. That’s part of the problem with Crawford, he makes hard things look too easy and I think that means he gets taken for granted sometimes. Second, Panik deserves all the credit in the world for his amazing play on the Hosmer double play in the third. The range, the instincts, the flip, all incredible. But the flip was a bit of a rainbow and it threw the timing of the play off, which meant that Crawford had to make the throw flat footed. And he gunned it to barely nail a diving Hosmer at first. You have to have an incredible arm to make that throw. Third, on that fateful ball that Gordon hit, the Royals didn’t send him because Crawford (a) make an incredible pick up on a bad short hop throw…if he muffs that throw Gordon scores easily, and (b) has that incredible arm. Most of the breakdowns of that play I’ve read have Gordon being thrown out easily. The only way he scores there is if Crawford throws the ball in the stands or if Gordon blows up Posey and knocks the ball out, which we all know is illegal now. One more thought on this play. I know Royals fans will replay it again and again and debate whether Gordon should have gone, but I actually think he should have stayed at second base. In a weird way Juan Perez may have saved the game by bobbling the ball and allowing Gordon to go to third. That meant Bumgarner was able to stay in the wind up. The way he was pitching it may not have mattered, but he had only been in the stretch for a few pitches all night, and hadn’t thrown from the stretch since the 5th. If Gordon’s on second Bum’s in the stretch and maybe that makes a difference. We’ll never know. 3. One final second guess: Hosmer is getting a lot of flack for sliding into first base on that double play. And he should. I never like that play. But, what about Lorenzo Cain sliding head first into second!!! That is one of the dumbest plays I have ever seen. Slide in feet first and maybe he throws off Crawford, or makes him jump which takes something off the throw, anything but head first. Angel Pagan, leadoff man and starting center fielder (really think about that for a minute. Not only did they lose Pagan, but it meant relying on Blanco, who is an admirable fill in, and Ishikawa/Perez/Morse. It worked out, but a lot of us thought the Giants were done when Pagan had to shut it down). Matt Cain. Again, who would have thought the Giants could survive this. This team can survive a lot, but not losing a key starting pitcher. It’s an interesting thought exercise to wonder how this all would have gone done with Matt Cain. It is easy to think they would have had an easier time. Certainly, they would have fared better against the Royals with another dominant starter. But, you never know. A Buster Posey home run. Or extra base hit for that matter. In terms of the guys who were there and played, this is the most remarkable part of the story. 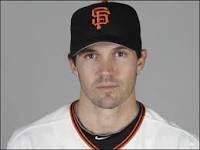 In order for the Giants to overcome the aforementioned loses one would think the only way to do it was with an otherworldly display by Posey. Now, let me say that in many ways he was otherworldly. Just not with the bat. The dude was so tired. He caught all but 2 innings, including all of the 18 inning game (that game might be the biggest factor in the Giants winning it all and in Posey wearing down). He played great behind the plate and he guided the pitchers through. He doesn’t get enough credit for the way he calls games and handles pitchers. Also, huge hat tip here to Panda and Pence who were awesome. So awesome. Tim Lincecum. Most Giants fans could have envisioned the Giants doing well this season without Lincecum. He was a huge question mark coming into the year and no one really batted an eye when he went to the bullpen. But, think back over the years and is there anyway you could see the Giants winning a third ring without Lincecum contributing in some significant way? Hard to imagine. The Royals beat an Angels team that was missing it’s ace. They beat an Orioles team missing three All-Star components of it’s starting lineup. But, they could not beat a Giants team missing some key pieces. What a resilient group of guys. The most amazing thing I had ever seen in baseball prior to this October was Barry Bonds. I know Bonds is a polarizing figure, but I will defend him as the greatest hitter of all time to my death. And here’s the reason why: it wasn’t the number of home runs or the great distances they traveled (although that was amazing). Barry Bonds was a marvel because he might only see 1 hittable pitch per game, sometimes per series. And he’d crush it. To do that requires an incredible discipline and an ability to repeat flawless mechanics at any given moment. I know Bonds was all hopped up on a variety of things (who wasn’t at that point in the game’s history), but no amount of HGH can help you do what Bonds did, which is crush the ONLY good pitch he saw over a period of hours or even days. It was the most unbelievable thing I’ve ever seen on a baseball field. Until this October. Madison Bumgarner is good, I have no doubt about that, but I have never seen anything like that. No offense to Orel Hershiser, Dave Stewart, John Smoltz, Andy Petite, Roger Clemens, Josh Becket, Livan Hernandez, Randy Johnson, Pedro Martinez, John Lester, and others. The only thing I can compare it to is Curt Schilling and even he tweeted last night that Bum’s performance was the best ever. You shouldn’t be get people out that often. He did it. Unreal. Not to be overly pessimistic, but the Giants relied heavily on Tim Lincecum in 2010 and he’s know a spot reliever. They relied heavily on Matt Cain and he had bone spurs removed from his elbow. They just relied more heavily on Madison Bumgarner than either of those guys, and so naturally I am worried about the long term effects. If anyone is big enough and strong enough to bounce back it’s MadBum, but man that was a lot of innings/pitches. One of the redeeming qualities of Bumgarner’s dominance is that it seems to be taking away form the “Giants-are-lucky” narrative. It’s hard to call a team that wins #THREERINGS in five years lucky, but I’m still glad to not have to hear about it, at least not today. I still think the biggest break the Giants caught came when Clint Hurdle chose to start Edinson Volquez in the Wild Card Game. He could have not started Gerrit Cole in game 162 and saved him for the WCG (his best/smartest decision). Or he could have gone with Francisco Liriano (a better matchup with all the lefties in the Giants line up). He went with option 3. It may not have mattered because MADISON BUMGARNER. But, still a big break for the Giants. I think the second biggest break the Giants got was not having to face the Dodgers. They’d seen them so many times all year, and especially late in the season, and didn’t fare so well, especially against Zach Grienke. I think seeing a relatively unfamiliar foe in the Washington Nationals was important. Not having to face Clayton Kershaw (and Greinke) was a gift. The Nationals can pitch too, really well, but the psychology of facing the Dodgers in a short series would have been a huge challenge. So, thank you Nationals for having a better record than the Dodgers. And thank you Cardinals for beating the Dodgers. And thank you Matt Williams and Mike Matheny for the poor handling of your bullpens. (Although the pressure the Giants apply to teams had something to do with that). Finally, the Giants caught a break by facing a very good Royals team that lacked the one thing they needed: an ace to match Madison Bumgarner. Now, the Royals may have one (Yordano Ventura or Danny Duffy could be that guy as early as next season), and certainly James Shields was thought to be that guy, but they had no one to answer Bumgarner. Of course, there may not ever have been an answer to Bumgarner, but imagine this Giants team facing the A’s or the Tigers. There may have been other ways to beat those teams, but certainly their starting pitching would have been an overall advantage. Instead they got a team with just as many question marks in the rotation as they had, which allowed the room for Bumgarner to rise far above all. Back in 2010 the Giants erased all the bad postseason memories that had haunted fans for decades. When they did it again in 2012 it lead me to think about correlations between past shortfalls. In my mind, 2010 erased 2002. They were the closest comps I had at the time, and it seemed to be a cosmic baseball even out: every time tragedy could have struck they avoided it. 2012 made up for 2003, good teams that got themselves in holes. 2003 couldn’t dig out, 2012 did. But, then this year happened, and at first I thought this was about 1993. An 88 win/second wild card team taking it all seemed to make up for a 103 win/no postseason tragedy. 2010 was about the whole history, not any specific year. It was about an unlikely band of misfits doing what all the star powered offensive machines of years past could not do. It was a tiny pitcher filling the large shoes of Bonds, Mays, McCovey, Cepeda, Clark, Williams, and reaching heights they never could in San Francisco. 2012 was about 2003, 2000, 2004, 1997, 1998, 2009, etc. Any team that fell just short, erased by a team that should have/could have been put down 6 times. 2014 is the one that heals the wounds of 2002. The parallels between the teams and the series were eerie. Young upstart vs. veteran experience. 2 Wild Card teams. Giants win game 1, Royals/Angels win 2 and 3, Giants come back at home and win 2 big games, Giants give away/blow game 6, and then a final game 7. Once again, the Bochy Giants are so different from the Dusty Baker Giants. No folding, no giving up, no backing down. Road teams were 0-9 in the last 9 games 7’s dating back to 1982. If you lose game 6, you lose game 7, or so it goes. And so, of course, as they have so many times in the past 5 years the Giants defied the odds, bucked the trends, and emerged, unbelievably, victorious. Kings of the Mountain. Score more runs than the Royals. The end. Take 2: Score a bunch of runs early off of Jeremy Guthrie. The end. This would essentially be a repeat of last night where Hudson goes down in flames early and the game gets away from the Giants before anything can really be done about it. Chances of this happening 1%. Let’s face it. No matter what this is the LAST game of a WEIRD season. This game is going to be close and it’s going to be weird. It’s going to make you feel things. Bad things like your worst break up, and good things like the birth of a child (or the last time the Giants won the World Series). Tim Kawakami posited his theory on how the bullpen will shake down today. Check it out. Along those lines, the worst case scenario is that Bochy has to start thinking about replacing Hudson early. The chances are good that this will happen. A sinkerballer usually needs to throw about 20 pitches to really get it going. It might take even more for Hudson to get that “good tired” thing going given that this is FREAKING GAME 7 OF THE WORLD SERIES and the adrenaline will be pumping. If he can get through the first 20 pitches without damages, he could go 5 or 6 innings. But the first part of the game will make you barf so many times. The question of this game is when will Madison Bumgarner make an appearance. Best case scenario is that he never has to come in, but Bochy’s got a dilemma here. Put him in too early, and you might be left with a MadBum shaped vacuum when he comes out. Wait too long and the game might have already gotten away from you. Have I ever mentioned that I am glad I’m not the manager. The problem with this scenario is two-fold: Bumgarner is in the game too early, and too much rides on Petit and Lincecum to get big outs in the 5th and 6th. Again, the ultimate best case scenario is the Giants jump all over Guthrie, Hudson cruises through 7 and we all breathe easy and go to bed early (chances of this happening 1%). Chances of this happening: 49%. The Giants need 2 home runs. That’s what I’m calling right now. Hit 2 home runs and they win. The Giants need Posey’s moment of greatness. You are going to hear, ad naseum, about how road teams can’t win game 7’s. Here are Grant’s thoughts. One interesting insight from that article: the road team usually got out to lead and still lost. Don’t read too much into that. The Giants need to get a lead. The Giants really don’t want to be down once the game turns over to the final third. BUT, they’ve more than held their own against Kelvin Herrera. They’ve made him throw a lot of pitches. He’ll come in throwing gas and just try to throw it harder and harder if he gets in any trouble. Patience will pay off here. Let him get frustrated. A 102 mph fastball outside of the zone is just a really fast ball (ha). Furthermore, the Giants finally got to Wade Davis in Game 5, and he’s the one guy of the big 3 I really fear. That’ll boost their confidence. Finally, Greg Holland is one of the 5 best closers in baseball, but he’s been wild and he hasn’t pitched much recently. Again, patience is the key. They can get to him. I’d feel so much better if those guys were pitching to keep the game close and not to protect a lead, but they aren’t invincible. I’ll say it again: they can do this. They’ve done this. Not in the World Series, but they’ve done this. Score more runs than the Royals. 0.1 innings, 9 hits, 8 ER, 1 K.
Needless to say it was not a great game to watch. But, I guess I’ll always be able to say I saw the worst game of Bumgarner’s career. This postseason performance is MadBum’s apology to me for having to watch that meltdown in person. What’s really interesting to me about all of this is that after that game a popular MadBum theory was solidified. The idea was that Bumgarner was good but not great, and the problem was that his stuff lacked something. He didn’t throw hard enough, didn’t have a great out pitch, didn’t have that “thing” that separates the great from the merely good. In particular, the idea was that Bumgarner walked a fine line: when everything clicked, his mechanics, his control, his stuff, he could put together an awesome game. But, he didn’t have the pure stuff to get around the games where he didn’t have it all working at the same time. I heard the same thinking expressed on sports radio here in Boston before the Series started. He’s a good pitcher, but he’s not an ace, not great. If you’ve been watching Madison closely since that day in 2011, you know he’s an ace. You know he has great control. You know he can strike guys out. You know he can make batters look foolish. You know he has great stuff. You know he can beat any other team’s ace on any given day. He may not light up the radar gun (although the 94 he’s been sitting at this postseason isn’t anything to take lightly), but he’s as bona fide an ace as there is in baseball. Remember when Matt Cain was the chosen one? Remember when Tim Lincecum was the chosen one? Both those of guys are great, and have had some INCREDIBLE moments during their Giants careers. But maybe it was really Madison the whole time. There are still no circumstances under which I would pitch Jean Machi if I were the manager of the Giants, but Bochy went to him in Game 4 in a very logical situation (he needed a pitcher to get 1 out before being pinch hit for). Bochy did in that moment what great managers do: put their players in a position to succeed. He didn’t need Machi to go through the heart of the lineup in the middle of a tight game. He basically needed him to strike out an AL pitcher. Machi got it done. I also would have started Michael Morse in Game 4, but having him off the bench was huge psychologically (plus Morse had a great at-bat to draw a walk as a pinch hitter). Juan Perez started instead and made a couple of great plays in LF that Morse would have NEVER made. This is why Bochy is the manager. And he’s good at it. Ned Yost hasn’t had an egregious error that clearly cost the team a game. In fact, my opinion of him has gone from liability to neutral. But, Yost hasn’t figured out the final step of managerial greatness, which is putting his players in the best position to succeed. The Royals success has to do with the fact that they are very talented, and have some great options in certain roles. Yost’s use of the bullpen in Games 4 and 5 demonstrated a lack of skill in some ways, but also reveal that the Royals have a significant talent drop off from the big 3 to everyone else. But, he also doesn’t do some of the smaller things Bochy does (like how Bochy used Machi in just the right spot) to take his team from an 9 to a 10. Pablo and Pence have been huge in the past two games. Brandon Crawford, Brandon Belt, and Juan Perez have had their moments. I would argue that Yusmerio Petit and Jeremy Affeldt have been just as valuable this postseason as anyone, non-Bumgarner category. But, I still think the Giants need/will get something great from Buster Posey before this all over. They need it. Remember he saved his World Series home run for Game 4 against the Tigers. I also think, amazingly, that Tim Lincecum will have a moment, most likely tonight in Game 6, where the Giants need him to get a couple of outs. Can Timmy deliver? No idea how this all ends. It really does feel like 2002 in so many ways, but these are not the 2002 Giants. These are not Dusty Baker’s Giants. If any team can figure out how to shut this thing down tonight, it’s these Giants. Get it done tonight boys! Go Giants! Game 3 really changed in two key at-bats in the 6th inning. You’re going to read and hear about how amazing the Royals bullpen is (and it is), how awesome their defense was (and it was), and how the series is all about who gets the lead first (it kind of is), but sometimes it’s also about what a team’s best hitter does in a key spot. Eric Hosmer came up in the 6th inning with a runner on second and two outs facing Javier Lopez. He had an amazing at-bat. At first it was amazing because Lopez kept missing his spots and Hosmer kept just missing crushing those pitches. Then Lopez started to get a little nasty and Hosmer stayed on it and got a big single up the middle to drive in the Royals third run of the game. Buster Posey came up in the 6th inning with runners on second and third and one out. This was actually a situation where a Buster single would have been perfect (no need for that first extra base hit here, although it would have been awesome). He did well to get a ground ball up the middle to score a run, but the Giants needed their best hitter to do something great, the way the Royals best hitter had just done something great, and he was merely good. I hate to pile on Posey who is so awesome and who has done so many great things for the Giants over the years, but he needs to be great again, and soon. There were all kinds of other moments that helped turn this game. (One of them, by the way, was the ball Posey just missed against Greg Holland in the 9th…he JUST missed it…argggghhhhh…baseball). But, if the Giants are going to come back in this series they need their great player(s) to be great, not just good. The Giants have to win 3 of the next 4 games. Simple as that. Assuming the Giants’ win Madison Bumgarner’s game 5 start (and of course assuming anything in baseball is foolish), they must figure out a way to get 2 wins from the combination of Vogelsong, Peavy, and Hudson. I can’t say that I am super confident of that. But stranger things have happened. First, the lineups…the Giants go back to the NLCS lineup…this means 5 left-handed hitters. Left-handed hitters have Buster Posey type numbers against Jeremy Guthrie, so as nice as it would be to have Morse take a couple of at bats (plus his bat doesn’t play as well against the righty-heavy bullpen off the bench), you can’t deny the history there. The Royals are mixing it up quite a bit. No Aoki. Gordon in the 2 hole (he’s a great player, but not having a great postseason), Moustakas in the 5 hole (this is the big shocker, the dude hit 9TH most of the year), Jarrod Dyson in the 8th spot, and of course no Billy Butler. This decision gives the Royals more speed and defense, and ensures that if guys get on base they will running and bunting like crazy. It also means the temptation for Yost to meddle and get over involved in this game will be immense. Second, the national media continues to harp on the Giants totally bullpen meltdown. The issue with the bullpen in Game 2 was not that the Royals beat the Giants bullpen aces. In fact, it is quite the opposite. The got to the Giants 6th and 7th options. The issue was with who Bochy chose, not with the bullpen (especially the core 4). If the Royals beat Affeldt, Casilla, etc then we’d really have a problem. Until then Game 2 was a bummer, but clarity providing bummer. Third, it sounds like Tim Lincecum is available. This is either great news or ulcer inducing information. It also sounds like there is a slim chance that Bumgarner goes tomorrow in Game 4 on short rest. The only way I see that happening is if (a) the Giants lose, and (b) this game goes extra innings and the Giants burn Petit and Lincecum. I’m heading out of town this weekend for a series of important meetings, so I’m not sure how much blogging will happen moving forward. Until the next time. GO GIANTS!! !